I Wish I Worked There! 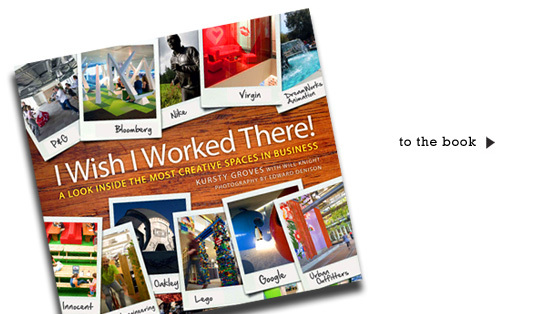 reveals the world’s most inspiring and innovative places to work, investigating twenty famous brands that place innovation at the heart of their culture. Easy-to-adopt principles facilitate the design, creation, or finding of spaces that are conducive to different types of creative activity, namely: Reflection, Collaboration, Stimulation, and Play. Never before has a title looked specifically at how the working environment fosters the flow of ideas from both practical and emotional perspectives – with business results. Launching March 2010. Buy it now!